Dr. Armand Asadourian is a general surgeon who specializes in Gastrointestinal Surgery, Colon and Rectal Surgery, Endoscopy and Colonoscopy. He is affiliated with several hospitals in New York City, Queens as well as Long Island. Dr. Asadourian was recently honored by the Romanian Medical Society of New York as Doctor of the Year. Dr. Asadourian accepts most major insurance plans. In addition, Dr. Asadourian speaks 6 languages (English, Spanish, Romanian, Armenian, French and Italian). 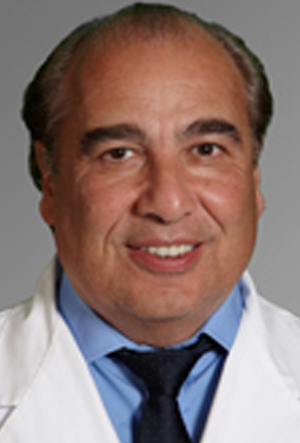 Dr. Armand V. Asadourian has been practicing medicine for over 32 years. He attended medical school and did a surgical residency at Flushing Hospital Medical Center with a certificate in Surgical Oncology from Memorial Sloan-Kettering Cancer Center. He also served as Chief Resident during his final year of residency. Throughout his career Dr. Asadourian has educated and trained surgical residents at Flushing Hospital and New York Hospital Queens. He specializes in General Surgery, Gastrointestinal Surgery, Colon and Rectal Surgery, Endoscopy and Colonoscopy.